June | 2007 | Chickens Don't Clap! Homage albums typically fall into two categories; those that come off as little more than phoned-in, shallow rip-offs, and those that successfully utilize hindsight to integrate the best elements of a particular genre into one cohesive work, all the while maintaining some semblance of identity. 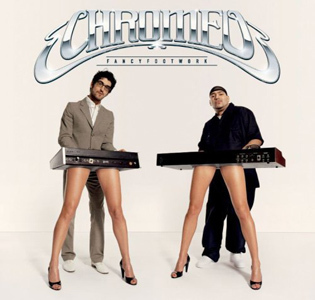 Chromeo‘s latest definitely falls into the latter and is quickly becoming one of my favorite records of the year. An homage to early 80s vocoder-funk and electro-R&B, Fancy Footwork manages to make you want to dance and laugh with its seriously satisfying funk jams and tongue-in-cheek lyrics. A step up from 2004’s She’s in Control, this album shows off not only stronger songwriting, but also stronger (and cleaner) production. Fancy Footwork is also a more consistent album than their 2004 debut — perhaps somewhat predictably, considering She’s in Control was supposedly Dave One and Pee-Thugg’s first experimental foray into electro-funk. The new album is also a decidedly more pop-oriented affair, which is most evident on “Momma’s Boy”. Although this oedipal pop-gem may be more Cars than it is Prince or Zapp & Roger — and thus somewhat of a departure from the overall sound of the album — it’s still a definite highlight… and lyrically, it’s downright hilarious. “Opening Up (Ce Soir on Danse)” is more representative of the record as a whole, combining sweet pop melodies with an onslaught of funked-out bass and a myriad of synth. 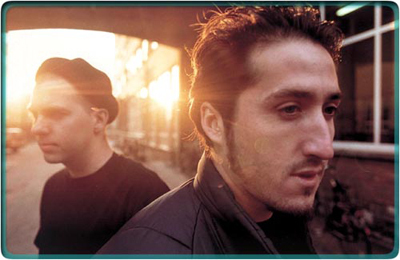 In my opinion, Chromeo have really come into their own. You’d be hard-pressed to find another album this year that is as entertaining and critically satisfying as Fancy Footwork. Buy: Order Fancy Footwork from Insound. 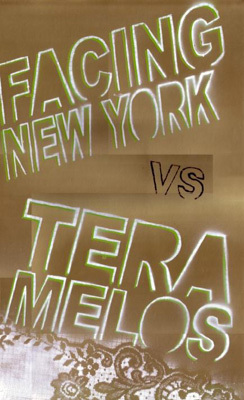 I had nearly forgotten about the Facing New York / Tera Melos tour that starts tonight in Texas. This may or may not have been caused by my severe disappointment that Tera Melos is dropping out a couple days early… a couple days before the show in San Diego. Either way, I recommend that anyone in the vicinity of a stop on this tour set aside the evening. Between the technical wizardry and pure ferocity of Tera Melos and the soaring pop-punk/prog (it works much better than you think it might) of Facing New York, you will not leave disappointed. Buy: Order their self-titled album from Insound. Buy: The extremely limited, vinyl-only Drugs to the Dear Youth EP (which this song is from) is sadly sold out at the moment… however Tera Melos does plan to release a CD version very soon. For now, I recommend you pick up their immaculate (untitled) debut album over at Springman Records. In typical fashion, Rob Crow just keeps kickin’ out the jams. Along with his solo effort Living Well and the Other Men’s Wake Up Swimming, Pinback‘s latest will be the third album released by one of his various projects this year. Autumn of the Seraphs begins with more energy than one might expect; on the opener “From Nothing to Nowhere”, Pinback’s characteristically strong melodies are driven home with relentless fractured guitars and Crow’s vocals that shift from call-and-response wails to breathy croons. However, for the most part, the album retains the subdued complexity found on previous works. And while Pinback does what it does well… I kinda wish they would expand upon their sound a bit more. Rob Crow has proven he has no problem tackling other genres of rock with his ever-growing list of projects, so why not push the existing bands further? That being said, there are some great tracks on Autumn of the Seraphs and though it may not surpass Summer in Abaddon, most fans will probably be satisfied. Buy: Pre-order Autumn of the Seraphs from Touch and Go Records. R. Kelly, in his seeming omniscience, could sense that “Trapped in the Closet” fans were in need of a serious R. Kelly-spun-tale-of-betrayal-and-drama fix. So now he provides us with a little taste on “Same Girl”. [SPOILER] Why would twins in fact have the same tattoo, live in the same house, have the same job, have the same license plate, and both “love some Waffle House”… those are the kinds of questions Kells doesn’t want to have to answer. And only a hater would ask them anyhow. Hipsters should have no problem finding new tunes for summer dance parties this year… and that’s without a new Avalanches album. Between Justice, Chromeo, and Simian Mobile Disco, there’s plenty of groove-heavy, synthesized indie-dance goodness to go around. 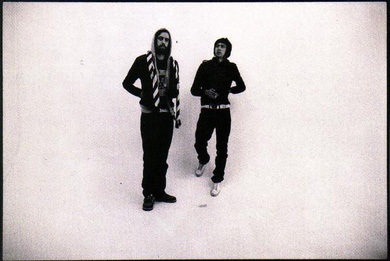 The fiercely awaited debut full-length from Justice, simply titled †, has seemingly cast their name into what is becoming an impressive legacy of French electronica duos. Often compared to Daft Punk’s Homework, the album is an onslaught of gritty pseudo-disco, chopped and syncopated into a kind of noise-tinged dance-pop heaven. † comes out in the U.S. on July 10th. Bonus: Check out the video for the super catchy “D.A.N.C.E.”. 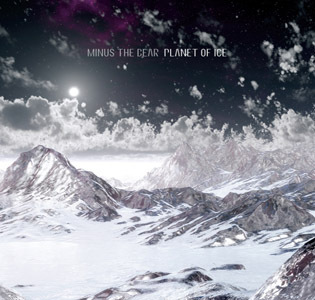 If the upcoming Minus the Bear album, Planet of Ice, is anything, it is appropriately named. A collection of cold, distanced compositions, the album certainly conveys a sense of vast, wintery desolation. This serves as an interesting motif, yet it also seems to be somewhat of a detraction from the youthfulness found on their previous works. This general shift was already evident on Menos el Oso, but Planet of Ice seems to take it one step further… and I can’t help but feel a bit conflicted about the subtle transformation. However, even considering this, the album is still pretty damn good. In fact, it seems to not only get better with each listen, but I also find my initial reservations fading quickly. I mean, it was inevitable that this band would start to mature and why shouldn’t the continuing trend be welcomed? Of course, part of me will always miss song titles like “Hey! Is That a Ninja Up There?” or “Absinthe Party at the Fly Honey Warehouse”, but this new tone and ongoing maturation seems to allow Minus the Bear to more fully explore influences that had been previously bubbling below the surface. And indeed the new album contains a decidedly prog-rock edge to it, perhaps most evident on the nearly nine minute closer “Lotus”, but more obviously present throughout Planet of Ice than on any prior release. Though for all the noticeable differences, this is still a Minus the Bear record. The consistently fantastic guitar work of David Knudson is back in full force, as are the uncanny pop sensibilities, distinctive guitar tones, and Jake Snider’s emotive vocals. While Snider’s vocal capabilities are criticized at times, I’ve always found him more than adequate on Highly Refined Pirates or anything beyond, and for much of Planet of Ice he seems to be at his absolute best. I’m a bit surprised at the songs that have been chosen to promote the album so far… “Dr L’Ling” and “Throwin’ Shapes” are pretty cool, but I think both of these tracks are much better. “Double Vision Quest”, in particular, seems to embody all of Minus the Bear’s new and recurring strengths present on Planet of Ice. Buy: Planet of Ice comes out on August 21st. It is not yet available for pre-order, but keep your eyes on Suicide Squeeze Records for more details.